Who eats what, where and why? 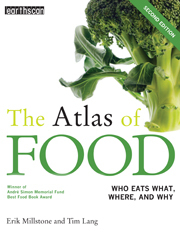 This award-winning atlas maps every link of the food chain, from farming, production and retail to the food on our plates. It also investigates how, in an era of new technologies, globalized food trade and even plentiful supply, millions remain hungry. Fascinating and comprehensive... It deserves to have broad appeal both within the development community and the wider public. Impressive and far-ranging... An extremely useful and comprehensive, if disturbing, read. 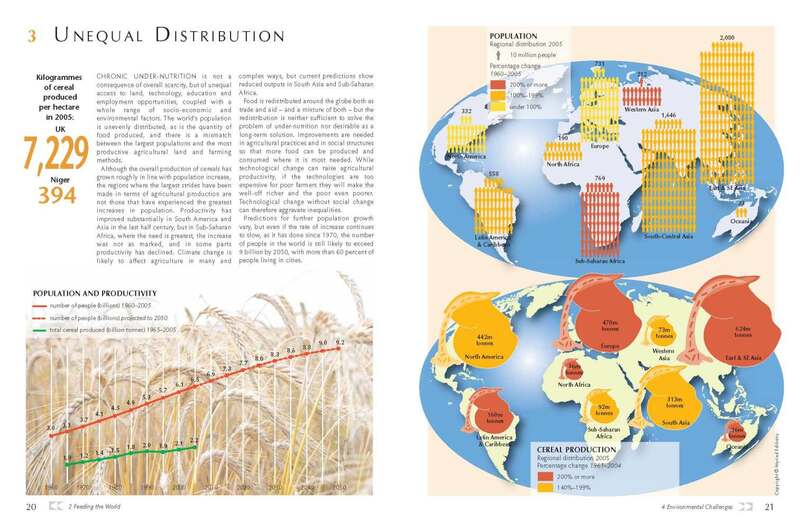 A unique and easily accessible insight into the way our world food system works. With compelling graphics... This splendid presentation of deeply worrying data and trends should be a wake-up call. 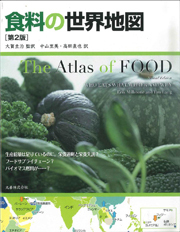 The quest to find out just what's happening to our food is no longer a journey without maps. A rich and stimulating cornucopia of selected, enticing snippets of information... beautifully designed graphics... an excellent starter for course work and student projects. '[The maps] provide an extraordinarily clear basis for understanding the underlying issues... this is a vital study. 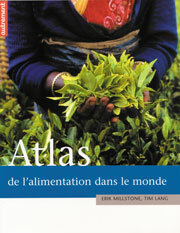 Fascinating and comprehensive, it demonstrates clearly and colourfully how the world food system works. It deserves to have broad appeal both within the development community and the wider public. Impressive and far-ranging... the authors intelligently use maps, colour diagrams and simple statistics to capture how the world feeds itself or, in so many instances, sadly fails to do so, to the detriment of so many. An extremely useful and comprehensive, if disturbing, read. 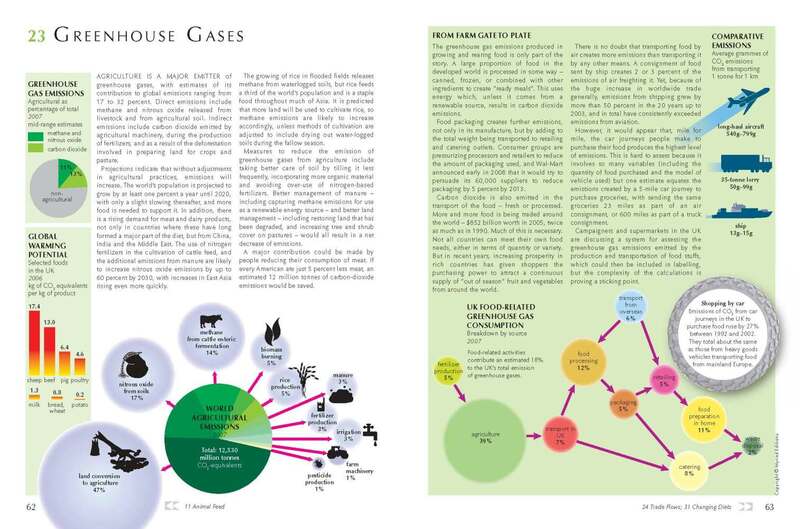 A unique and easily accessible insight into the way our world food system works. With compelling graphics, it should be necessary reading for many under- and post-graduates, as well as for the interested general public. This splendid presentation of deeply worrying data and trends should be a wake-up call. This book shows that it is time to take individual and collective responsibility for eating - this commonly-perceived most routine of acts. A remarkable book that reveals with devastating clarity the bizarre way the world feeds itself. The quest to find out just what's happening to our food is no longer a journey without maps. A rich and stimulating cornucopia of selected, enticing snippets of information... beautifully designed graphics, page upon page of them... an excellent starter for course work and student projects. It raises the questions, starts off the answers, and makes the reader want to know more. [The maps] provide an extraordinarily clear basis for understanding the underlying issues... this is a vital study. It clearly shows how threatened the security of the food supply chain has become in a globally interconnected world.